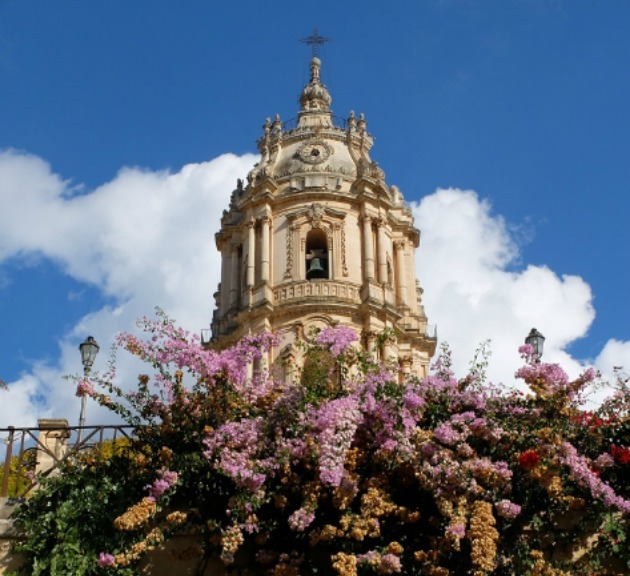 Italy has its fair share of wonderful places to visit but, as someone who now considers herself a ‘local’, visiting Sicily was a bit of an eye-opener for my senses. The area I visited was the eastern part of the island, based from lovely Modica, with a day-trip excursion to both Mount Etna and Taormina. It should come as no surprise that this area on Italy’s biggest island is one that should be on everyone’s list to visit in 2015 since it offers a mild, pleasant climate, plenty of UNESCO heritage sites and Mediterranean beaches – not to mention plenty of local color. While you might have never heard of the Sicilian town of Modica, it should definitely be one to shine bright on your radar. The city, which has been devastated by earthquakes on numerous occasions (the biggest in 1693), boasts ancient Greek and Roman roots and is part of the province of Ragusa. I can only describe it as a place that remains embedded into your soul, and perhaps partly in that it might make you sore! With so many steep inclines taking you from one end of the city to another, you lose count of the steps when you explore its beauty firsthand, distracted with the many places to visit. In my personal opinion, this city, known as the 'town of the 100 churches', is best savored slowly since you won’t find all of its famous monuments in one specific place. The standout star for me is without a doubt the Cathedral of San Giorgio, which is UNESCO recognized, and a perfect example of the Sicilian baroque architecture I adore so much. The 164 steps to the top may seem daunting at first, but you are rewarded with the city’s splendor: an incredible view is the perfect greeting once you've finally caught your breath. Another UNESCO recognized church is the pretty Cathedral of San Pietro. 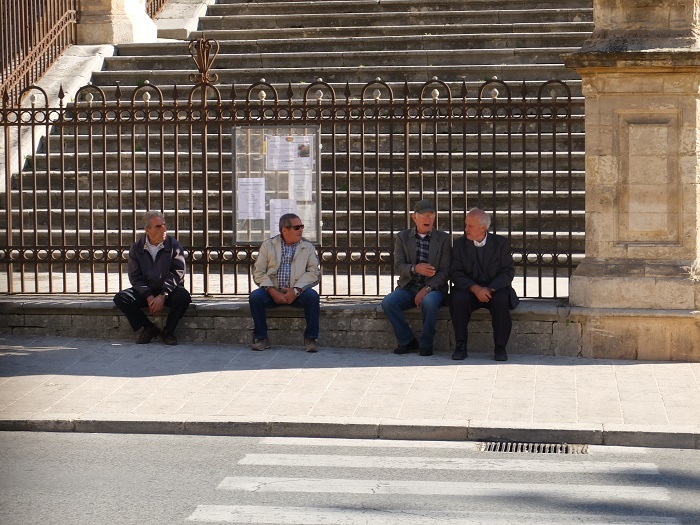 I walked by one sunny weekday morning to gaze at its beautiful façade, striding by old men from the village gathered on its steps to chat about daily life, a gorgeous place to use as a backdrop for talks of political issues and what they ate for dinner. 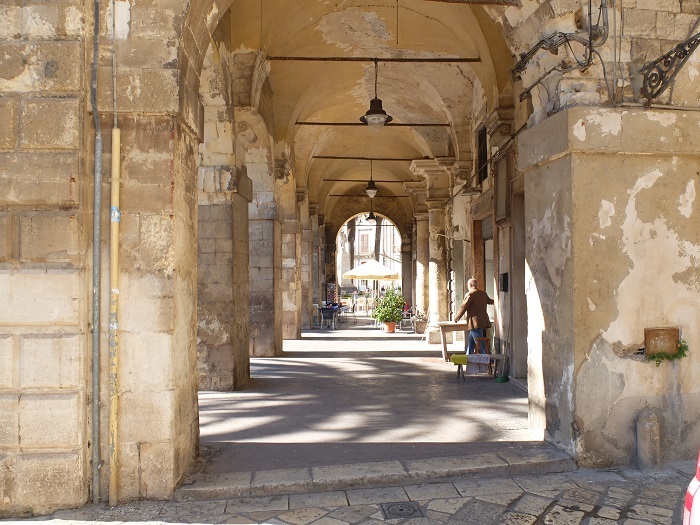 Modica also happens to be the birthplace of Nobel laureate poet and one of the most important Italian poets of the 20th century, Salvatore Quasimodo. He was born here in 1901, and his old house is now open for visits. In this town, you will also see the proud tradition of making chocolate at low temperature like the Aztec in Mexico made it, a tradition which has been done here for more than 400 years. Once part of the Spanish kingdom, the Aztec technique of making chocolate 'a la pedra' (on the stone - on the metate, an old mexican stone tool) with chili pepper, cinnamon and vanilla, was brought back from South America and introduced to Modica where they now proudly hone their craft. 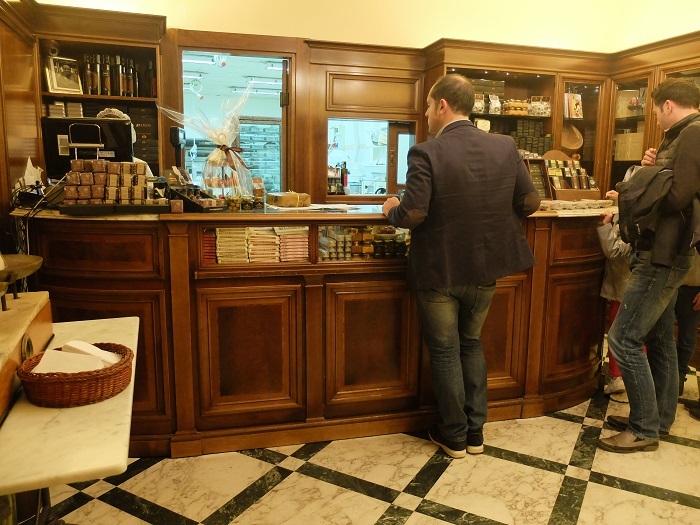 For the best in town, you have to head over to the Antica Dolceria Bonajuto in Corso Umberto I, 159 where you can still see chocolatiers at work. What struck my taste buds was the interesting consistency of the chocolate, it crumbles in your mouth before melting, and you can find a wide variety of flavors here. Definitely don’t go just for the chocolate, a personal favorite was the ‘aranciata and cedrata’ candied orange and citrus peel and kubaita, a sesame nougat. Please don’t leave without taking some of the ‘Mpanatigghi’ cookies, made with an unusual beef and chocolate filling - the 400-year-old recipe is a closely guarded secret. And then there was the food. 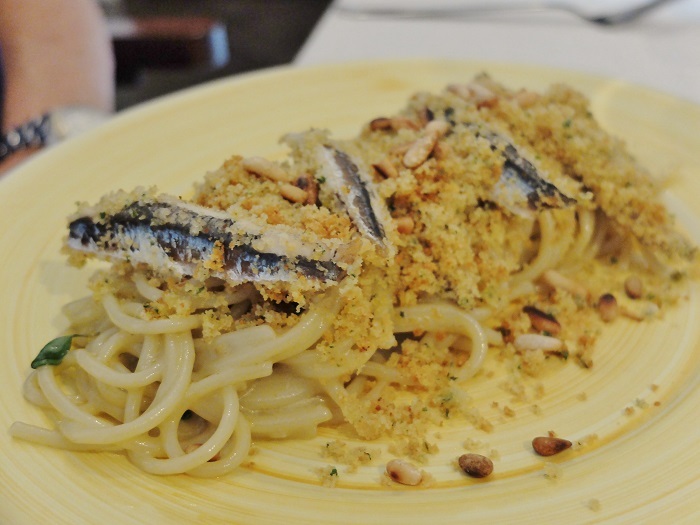 The cuisine in this area of Sicily is outstanding for the curious palate that enjoys a punch of flavor. I sampled plenty of fish, peppers, fried anchovies, Sicilian pesto, olives, different types of ‘arancini’ (fried stuffed rice balls), and of course I cannot forget the beautiful ‘cannoli’ stuffed with ricotta cheese and covered in pistachio. Luckily, Modica’s many steps are a wonderful way to ‘digest’ after a heavy meal. Any trip to eastern Sicily wouldn’t be complete without a trip to Mount Etna, which you can easily coincide with a visit to beautiful Taormina. 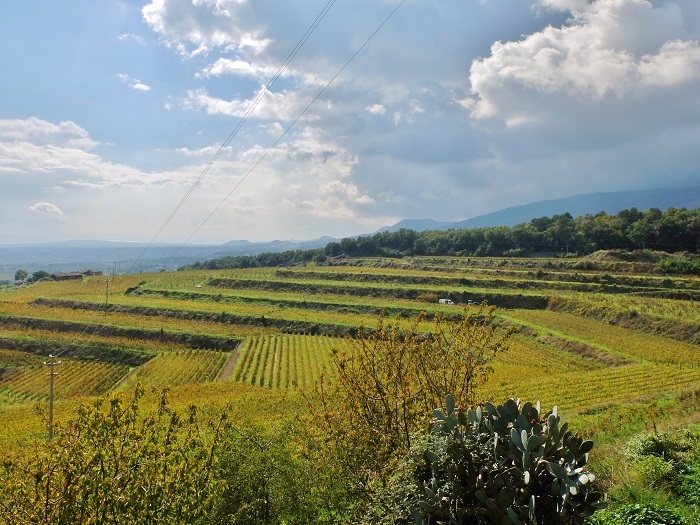 While it may not be as well-known as other areas of Italy, the wine produced on this famous volcanic mountain is extremely impressive. My trip included a stop at the Barone di Villagrande vineyard run by the Nicolosi family since the 18th century. Their vineyards slope from the white snow to the sea, 650 – 700 meters above sea level. Undoubtedly, the volcanic soil plays a big part in the quality of the wine they produce. I tried a variety of wines produced here. The white ‘Etna bianco’ is a dry white wine with a yellowish color, a perfect ‘date’ to a lovely fish lunch or local puree of fava beans, but for me, personally, the topaz-colored Malvasia delle Lipari, which is a ‘Passito’ (a dessert wine), was the one to write home about. Taormina was the next stop on my discovery of this area of Sicily. Founded by the Greeks in 358 B.C, its strategic location meant that it passed from a variety of hands, including the Roman Empire, Byzantines, Arabs, Normans, Swabians, French and the Spanish Aragon family - all of whom wanted a piece of the pie. 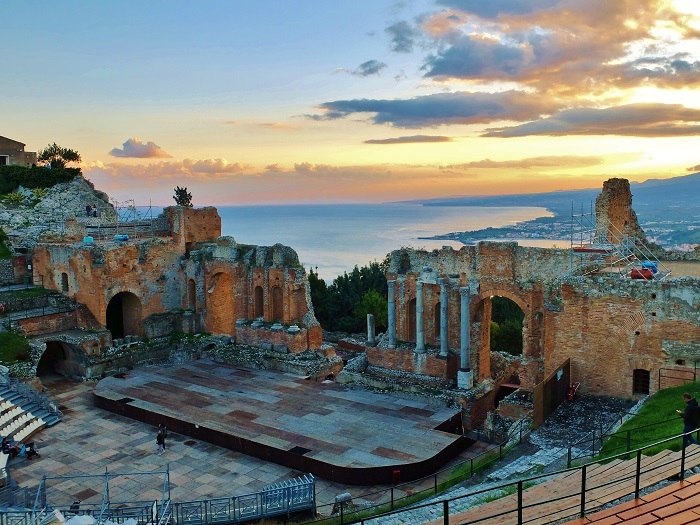 It’s the kind of place that inspires; after all, it was here that D.H. Lawrence penned "Lady Chatterley's Lover" and Goethe’s ‘The Italian Journey’, which made Taormina a definitive stop along the Grand Tour in the 1800s. Other famous people who have passed through its wake include Alexander Dumas, Johannes Brahms, Gustav Klimt, Richard Wagner, Oscar Wilde, Truman Capote, John Steinbeck. Its charm is immediate and powerful with splendid sea views and a permanent holiday atmosphere; you can see why this is one of the most popular tourist destinations in Sicily! Visiting on Halloween added an even more interesting element, instead of fighting my way through hordes of tourists, I spotted plenty of local children dressed up in costumes chasing one another through Taormina’s tiny streets and checkered piazza as their parents looked on. The crown jewel is the stunning Greek theater built in the 7th century BC; it is one of the largest ancient theaters in Sicily and was used for gladiatorial shows by the Romans. It is quite possibly one of the most splendid viewpoints in Italy - I was dumbfounded like I imagined so many others before me, when standing at the panoramic view of the Mount Etna, which is intermingled with the sea. Of course, this isn’t just used as a piece of a reminder of ancient history, the theater is still used today for open-air performances. · Strolling along Corso Umberto I, deviations welcomed. · Ponte Guerrieri for one of the best views of Modica. Several buses run to Modica from Catania's airport and from Syracuse (approx. 5 daily) with drop off on Corso Umberto I. Otherwise your best bet is getting around by car, make sure to ask your accommodation about parking. 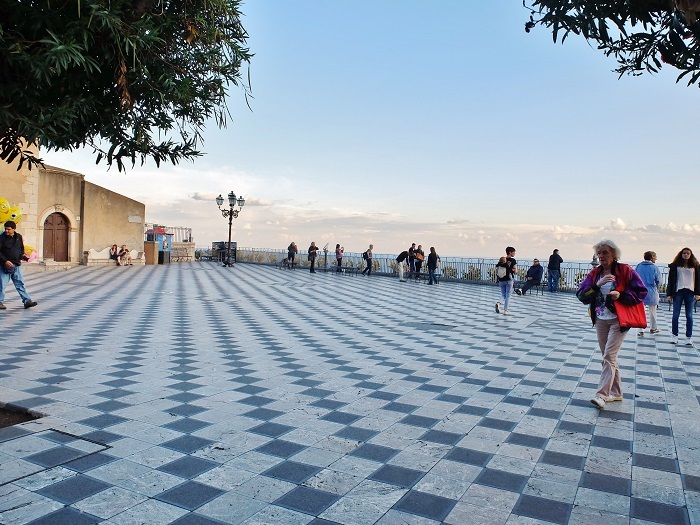 From Modica to Mount Etna and Taormina is an approximate three-hour drive, one way.